If you haven’t heard, fellow Cumberlovers, our favorite crime solving, scarf wearer is apparently dating again, and no, I don’t mean there’s going to be a return of Irene Adler to the series. I’m sorry if you had to find out this way, but it looks like Sherlock star Benedict Cumberbatch is dating a woman named Sophie Hunter. I’ll give you some time to process that. Good? Right, well, so it looks like the game’s afoot. Now, as recent evidence has come to light that Cumberbatch indeed has a new lady love, maybe it’s time to take a look at who exactly she is. Because if we ever learned a lesson from our favorite high functioning sociopath and his trusty partner John Watson, it’s that it’s important to do a suitable background check on significant others. We wouldn’t want another Mary Watson née Morstan on our hands, would we? Of course, I’m not suggesting that Hunter is an assassin — though her name would certainly be appropriate if she were some sort of trained killer, right? 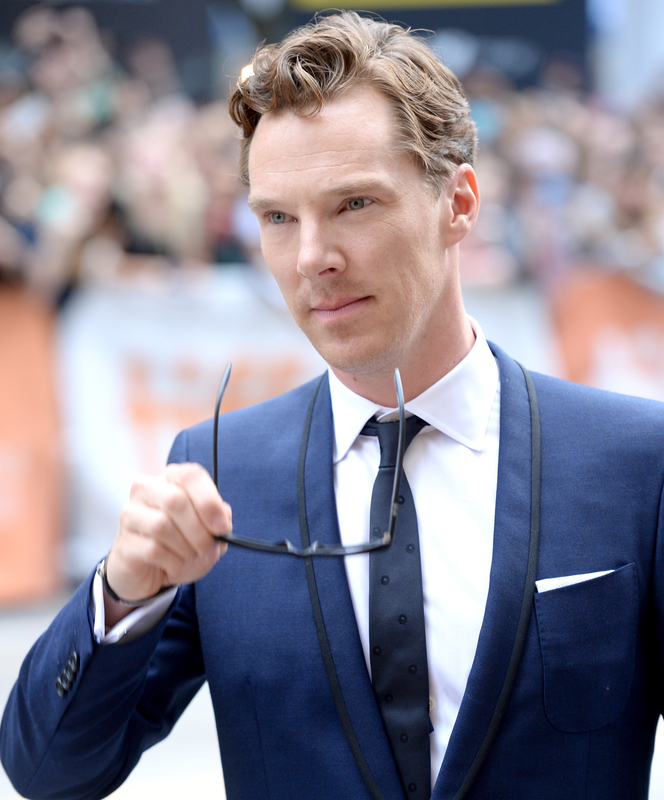 — but she seems kinda perfect for Benedict. Wait, hear me out first. Here's what we know about Cumberbatch's supposed girlfriend Sophie Hunter so far. Whereas Sherlock has his mind palace, Hunter had Oxford University, studying modern language. She later trained at L'Ecole Internationale de Theatre Jacques Lecoq in Paris. Not only Hunter fluent in French and Italian, she also completed a French-language album with Guy Chambers called The Isis Project. Maybe not in the same way that Sherlock is, but Hunter is a theater girl through and through. She's a theater director in Oxford, and she built her career touring Europe, the Middle East, and the U.S. with a variety of theater companies. In 2007, she also won the Samuel Beckett Award for writing and directing the experimental play The Terrific Electric. At least enough to watch the French Open with Cumberbatch in June. So she's known him for a while... They first met on set while filming Burlesque Fairy Tales, a film that takes place in 1930s London, and I need to find a version to watch now. If you must know, James Rhodes and Benedict Cumberbatch are long standing friends, having gone to school together and reconnecting over the past few years, and Cumberbatch took Hunter to his friend's wedding. Wait. Does that mean it's serious or not? Which we can tell from looking at her but is also more apparent in this tweet. She had a part in the film adaptation of Vanity Fair starring Reese Witherspoon and her baby bump, and Hunter also had a guest appearance on Doctor Who spinoff Torchwood. It's OK you guys. I think it's safe to say that Sophie Hunter isn't a secret agent with a history she's trying to out run, right? I mean, other than knowing several languages and being a trained actress, I don't see how she could be a secret agent in hiding. I'm just kidding. She's pretty normal. I'll just leave the on-screen capers to Sherlock, Watson, and Mary.